Reception for the Diplomatic Corps Accredited to Spain. January 2012, Madrid. On January 24, Princess Letizia accompanied King Juan Carlos, Queen Sofía and Prince Felipe during the annual reception for the Diplomatic Corps at the Royal Palace. 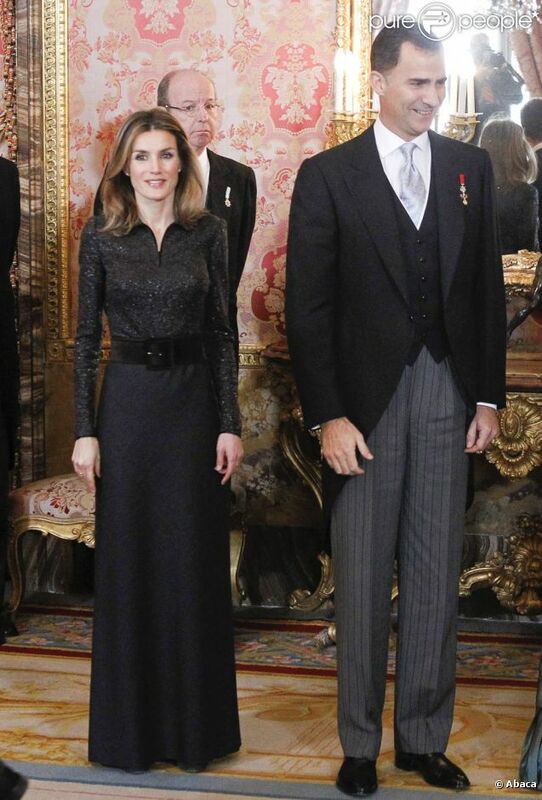 Doña Letizia wore a very dark brown long skirt with a matching sequined shirt, belt and peep-toes shoes. 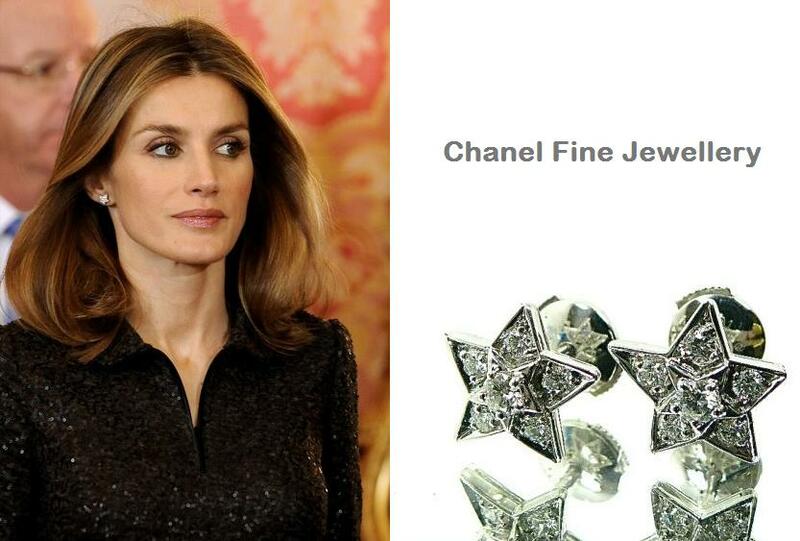 Her earrings were one her favorite, the diamond and white gold stars, believed to be Chanel Fine Jewellery. « Funeral Mass for Don Manuel Fraga Iribarne. January 2012, Madrid.